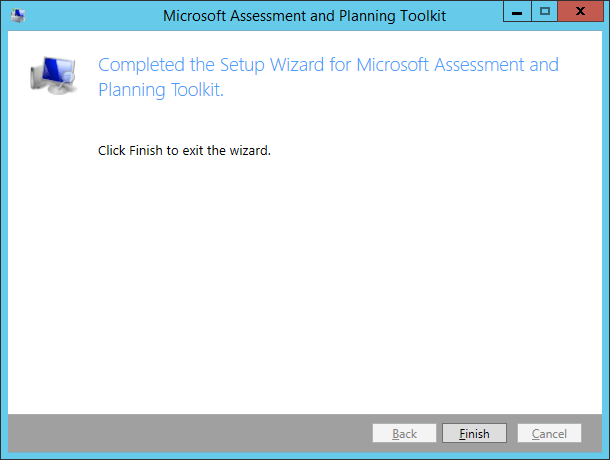 The Microsoft Assessment and Planning (MAP) Toolkit is an agentless inventory, assessment, and reporting tool that can securely assess IT environments for various platform migrations—including Windows 8.1, Windows 7, Office 2013, Office 2010, Office 365, Windows Server 2012 and Windows 2012 R2, SQL Server 2014, Hyper-V, Microsoft Private Cloud Fast Track, and Windows Azure. 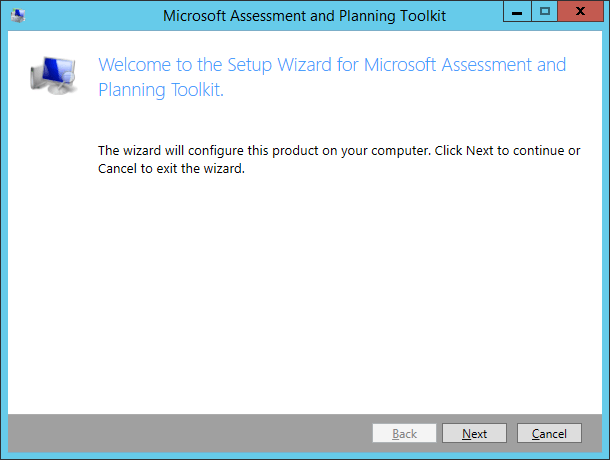 The Microsoft Assessment and Planning (MAP) Toolkit gets your cloud migration planning process going with automated discovery and detailed inventory reporting of web applications, application portfolios, and database readiness for the Windows Azure platform. Inventory and report on web application portfolios and SQL Server database instances in your environment. To start the installation you need to first download the installation files from the following location: https://technet.microsoft.com/en-us/solutionaccelerators/dd537566.aspx. This will download the MAPSetup.exe file. Copy this file to the system you will install it on, and run the MAPSetup.exe. On the screen License Agreement screen, read the license terms, select the ‘I accept the terms in the License Agreement’ checkbox, and then click Next. On the screen Installation Folder screen, specify the location you want to install the product to, then click Next. 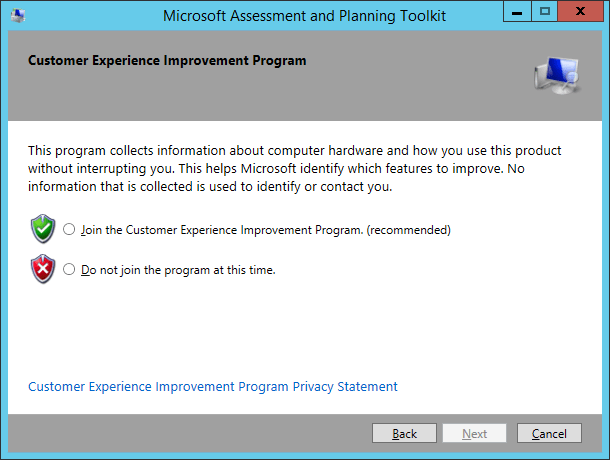 On the screen Customer Experience Improvement Program screen, choose whether you want to join the CEIP program or not, then click Next. On the screen Begin The Installation screen, click Install. Once the installation has been completed, click Finish. Next we will go through the first use of the toolkit, and perform the initial inventory of our environment; in Part 2: First Use & Perform An Inventory.